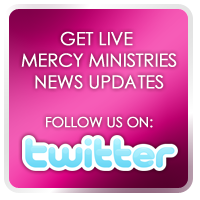 Mercy Ministries News: Another Amazing Transformation! Watching the girls in our program have their lives transformed by the love of Christ is truly amazing, and your support makes it possible. We can’t do it without you! I think of girls like Emma, who endured physical, emotional, and sexual abuse at the hands of her peers as a teenager. She would drink until she couldn’t feel the pain, and when that stopped working, she turned to self-harm and even tried to take her own life many times. She had given up on herself, but God never gave up on her! At Mercy, Emma rededicated her life to Christ and was changed from the inside out. She graduated last year full of hope, confidence, and joy. She is now at college pursuing a degree in youth ministry! “At Mercy, God allowed me to start hoping and dreaming again. Before Mercy, I really had no true hope. But now I have dreams that are way bigger than me! I also have a relationship with God that is fresh and exciting. Emma is walking in the freedom and abundant life she never knew was possible before, and she’s excited about sharing that freedom with others. Your willingness to give to Mercy Ministries provides a pathway of freedom not only for girls in our program like Emma, but for all who they go on to impact. Thank you for your support and for being part of every changed life!